Chinese teahouse by day and a Sichuan restaurant and events space by night. Just before Chinese New Year, my friend Hayley (of My Bondi Summer) and I headed to the launch of The Gardens by Lotus. 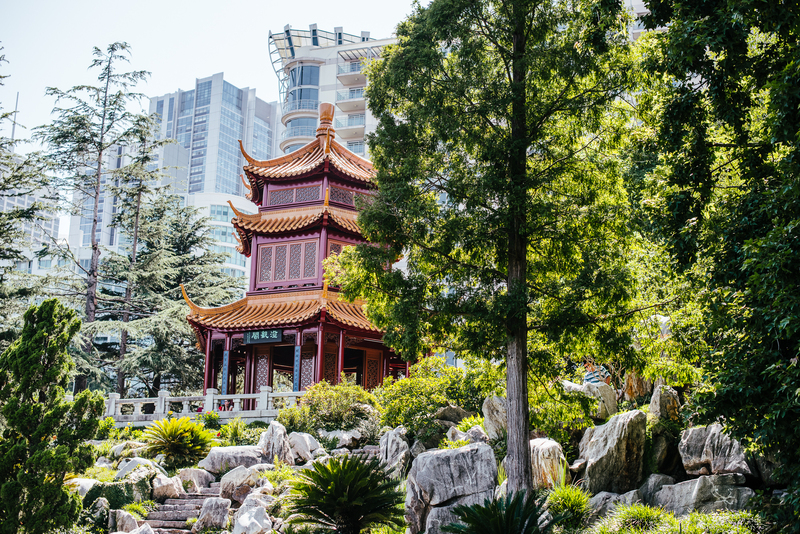 The Chinese Garden of Friendship is just across Darling Harbour from the ICC, and I’d walked by it many times without ever having gone in. It’s one of those spaces in Sydney that you always mean to check out, but often never prioritise — so I’m thrilled that The Gardens by Lotus is now there, so more Sydneysiders will be able to put a trip there in their diaries. We knew we were in for a treat before we even walked in — a Chinese dance troupe entertained a huge crowd of passersby with a traditional lion dance, delighting the small children in attendance. Walking under the wooden entryway, I felt like I was in a different country. Sydney’s hustle and bustle fell away, replaced by vistas of ponds with a temple in the background. The only hint we were still in Sydney was the skyline of the CBD looming in the distance. 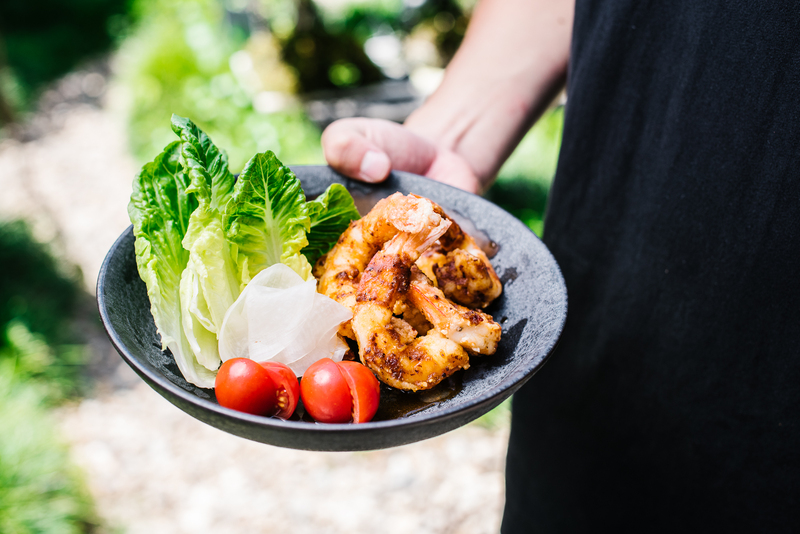 Moving from one space to the other, glasses of prosecco in hand, we explored the Chinese Garden of Frienship while learning about the delightful Sichuan cuisine Lotus Dining is offering. 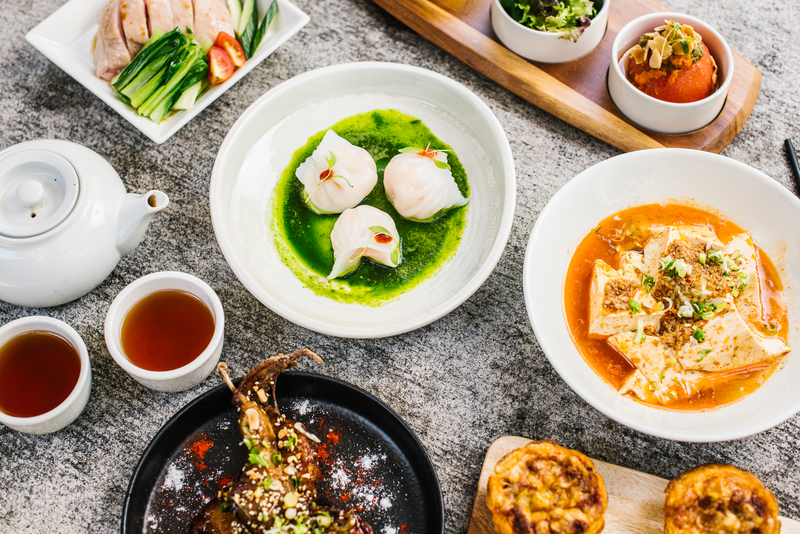 Founded by Michael Jiang in 2012, Lotus Dining Group now owns seven restaurants — including Lotus Dumpling Bar, Lotus Galeries, Lotus Barangaroo, and Madame Shanghai in Darlinghurst, among others. 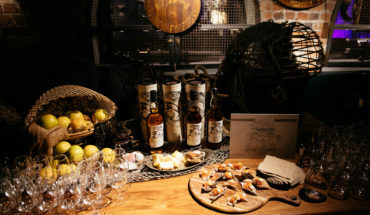 The pairing with the Chinese Garden of Friendship means that The Gardens by Lotus can showcase their Chinese cuisine with a modern Australian twist. Highlights include Squid Ink Dumplings, Pork Xiao Long Bao, Pan-Fried Lamb, Leek Pancakes, Hainan Chicken, Salt and Pepper Tofu Salad and Mango Pudding. From 6pm each evening, a Sichuan menu takes its place (with a little less spice for the Aussie palate, thankfully). We were able to sample much of the food from the menu — particularly the duck dumplings and beef skewers, which were real hits with attendees. Gazing down over the ponds and temples from an upper-story vantage point, the consensus is we are so lucky have such a place as the Chinese Garden of Friendship in Sydney. Now that there’s a restaurant, it’s even better. I’ll definitely be going back whenever I have a visitor to Sydney I want to showcase some of the secret, hidden, amazingly fun places in Sydney. With a full menu, plus traditional Chinese high tea, as well as a weekend yum cha menu, The Gardens by Lotus should be on everyone’s itinerary. Co-founder of The Plus Ones, Theresa loves travelling the world without needing to even leave Sydney. Disclosure: The Plus Ones were invited guests of The Atticism.